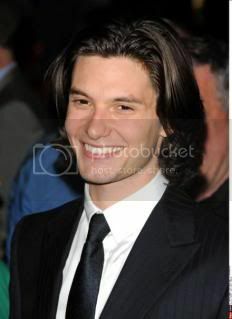 Ben Barnes, another pretty face or real talent? To many of his fans, the British actor, Ben Barnes was perfect or well, almost perfect as an actor as well as a gentleman. Of course I have no objections at all, because I am one of his freaking crazy overdosed fan. Who can resist his well-proportioned unforgettable handsome face and his charming attitude? Almost no one. Seeing his face was enough to caught your attention. Dig deeper to his personality, it will drag you to like him more. But he’s not someone who entered the hall of fame by sudden either. His journey to finally reached that stage of being famous was long and not easy. But is it really because he’s talented? is there any real talent along with his aristocratic face and charming personality? Would his package be enough to make him a good and award-winning actor? To make his name a guarantee to great movies? How long can he stay in this business? These are the serial writings on what other people said about his talents and some on his personality, which I think could be strong points of being a great actor. Philip Swan – head of drama & directors of the School theater at King’s College School in Wimbledon recalls that Ben was already showing great promise. “Ben had an excellent singing voice and was keen on acting as a young boy. So I suggested he be in the ensemble for a production of Salomon Pavey, which was to be directed by Jeremy Taylor the founder of the National Youth Music Theater. With his good looks and outstanding talents, a great future was always likely to await him”. He graduated from Kingston University in 2004, where he studied drama and English, specializing in Children’s literature. Frank Whately – Head of Kingston University School of performance & screen studies remembered him as one of their most talented students “Ben was one of the first student to read drama at Kingston University. As well as being a fine actor and director, he was intellectually outstanding. He’s the first student to be awarded first class honors in drama (with English). He was a dashing Don Juan in the Spanish Golden Age play by Tirso de Molina, among many other roles. He directed several productions too”. Ben Barnes was proud of being a choir boy, doing the Messiah at Saint Martin’s in the fields. “I was proud of the musical theater that I’ve done with the National Youth Music theater for 6 years and I am very proud of the function band stuff that I did. I did Sinatra tribute concert and funky Stevie Wonder stuff at graduation”. His first job was on stage in production of Bugsy Malone, where he played drums. Ben also a keen supporter of the Rose theater in Kingston. He performed a monologue in Judi Dench & friends back in 2004 to help raise funds for the venue. Wondering if there were recordings or videos on his previous projects. It would be very interesting to see him on stage while he was on school and college. It was clear that, Ben Barnes was not entering the big screen and becoming one of the most endearing British heart throb without preparation. His backgrounds showed that he had always strong at drama and music. He had an excellent singing voice. He was one of the most talented students and intellectually outstanding. His talents have been admitted. Along with his knowledge in drama and literature, he has the strong combination to support his acting career. Ben Barnes is not just another pretty face. He has the real talents. Disclaimer: All photographs used in this blog are belongs to their rightful owners, benbarnesonline, benbarnessource and benbarnesfanNo copyright infringement intended. This entry was posted in Ben Barnes, The prince and tagged Ben Barnes, British Actor, Multi-talented by toebildonk. Bookmark the permalink.